Everyone makes mistakes, we all know this. I know I make mistakes…probably more than I know of honestly. But luckily most mistakes are pretty minor and can be easily fixed. Holiday lighting is no different, there are lots of mistakes homeowners might make during this festive time of year. Here are a few mistakes you might be making when it comes to DIY holiday decoration. Now this is based heavily on personal opinion, but in general less is always more. My daughter loves the blow up characters, the animated lights…basically everything ever other kid likes. But I always think a simple display can look much better than the over the top DIY holiday display. A roof line with nice warm white lighting (or color) along with a tree or a few shrubs will win in the looks department almost ever time. During the daytime, DIY holiday lights aren’t as enjoyable as they are at night. 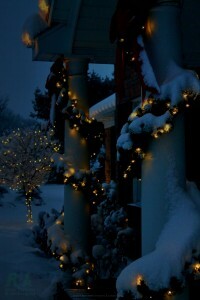 And when most homeowners are thinking about holiday decoration, they think of lighting only. But they are missing out on some great opportunity to add some color for the daytime with garland or wreaths. 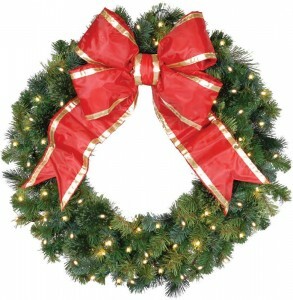 Our wreaths are pre-lit and come with a bow, so you they be enjoyed both during the day and at night. I think we’ve all been there…waiting until the last minute for something. But it doesn’t take much effort to have some forethought in planning, and it will save you time later down the road. Most people like to wait until right after Thanksgiving to get their holiday lights up, which is fine…but you can have your lights put up mid November and not turn them on until after Thanksgiving. Lots of people do this, not only because the weather in November is typically better than December, but it gets one more thing completed before Thanksgiving and Christmas are in full swing. 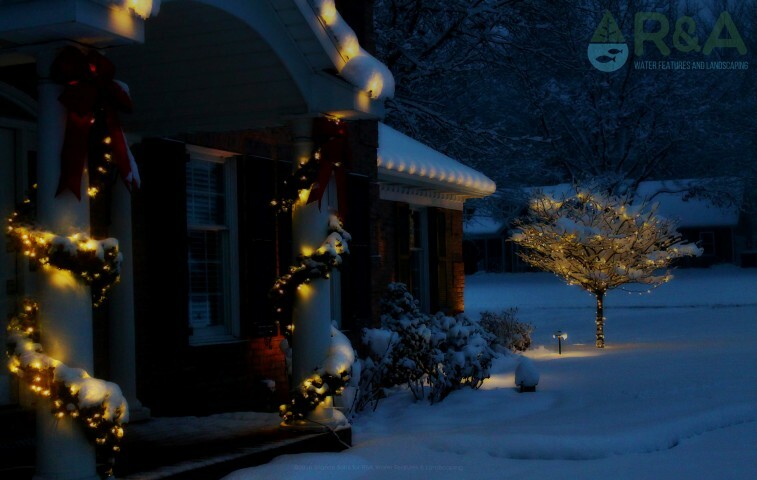 If you haven’t had your lights installed yet, it’s not too late we install lights up until Christmas Eve, so contact us today. We also have some quick last minute decoration ideas for Christmas that will make your home look festive for the holidays. Check out some recent projects and be sure to like our page on Facebook and sign up for our monthly newsletter.